After the end of the 1976 to 1979 drought it was quite evident the number of steelhead on the Carmel River had fallen dramatically. CRSA, who had already been rescuing young fish, decided we would go a step further and, rather than just relocate those fish, we would raise them from fingerlings to smolt. There were many challenges to be met and overcome before this ambitious project could take place. 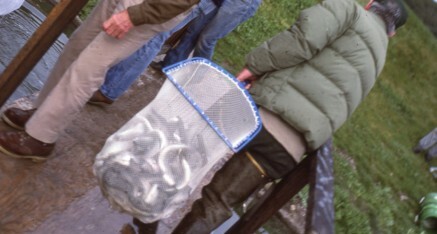 Locations to raise fish needed to be found, a way to transport large numbers of fish was required, food needed to be located and purchased, aeration needed to be provided, and the safety of the fish needed to be assured. 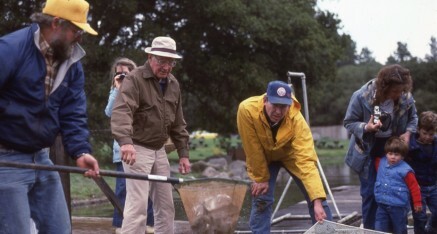 After the end of the 1976 to 1979 drought, between 1981 and 1986 when the next drought started, CRSA successfully raised thousands of fish in several locations. The first few years were in a private pond on Tularcitos Creek, followed with a few years at an abandoned trout farm on Garrapata Creek, and finally at a pond on Ed Haber’s Quail Meadows. 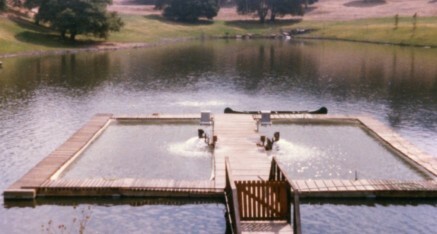 Each year members of CRSA would take care of the fish for at least 9 months, feeding the fish daily, cleaning ponds as necessary, checking for diseases, treating any disease if necessary, arranging for transportation of the much bigger fish back to the river, and cleaning the ponds at the end of each season. There were many people and agencies participating in the rearing of so many steelhead showing what can be done when people work together to solve a problem.